It’s a scorchingly hot afternoon in Taipei and cicadas are buzzing loudly outside the Treasure Hill Temple. A man in cycling gear stops to take a swig of water before turning towards the temple’s statue of Guanyin, the Chinese goddess of mercy. He clasps his hands and bows three times, paying his respects. A few metres away, Travis Hung stands watching. “This temple was built a few hundred years ago in the Qing Dynasty,” he tells me. “It used to be one of the most important temples around Taipei.” When the Japanese took over Taiwan in 1895, they deemed the hilly area around the temple to have exceptionally good water and banned development. For years, only six families lived nearby. Then came the Kuomintang, the Chinese Nationalists who placed Taiwan under martial law after fleeing from mainland China in 1949. 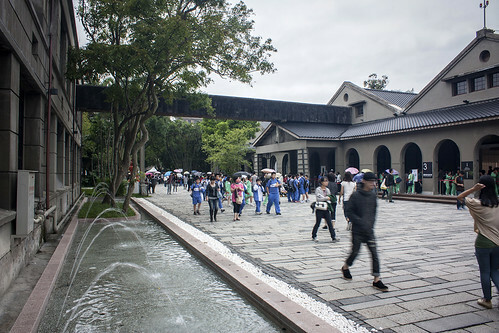 More than 200 ex-soldiers and their families flocked to Treasure Hill, where they built houses and small farms, creating a unique rural community just a stone’s throw away from central Taipei. 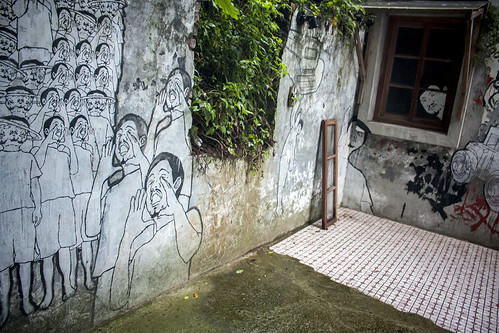 Today, Treasure Hill is an altogether different kind of settlement, home to 14 artist studios, exhibition and performance spaces, a café and a youth hostel, along with a handful of longtime residents who maintain the same tile-roofed houses and small patches of farmland they built after 1949. “This is a special place,” says Hung, who works for the non-profit foundation that manages the village. 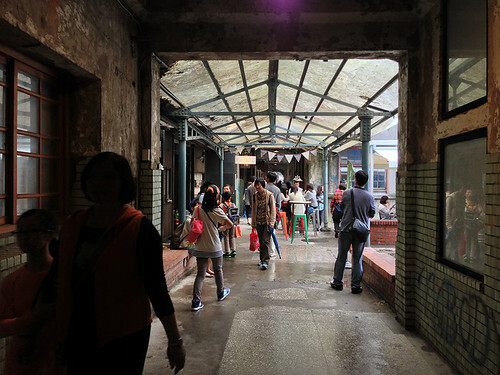 Treasure Hill is just one part of a cultural renaissance that has swept through Taipei, turning neglected urban spaces into design studios, music halls, craft workshops and independent shops. 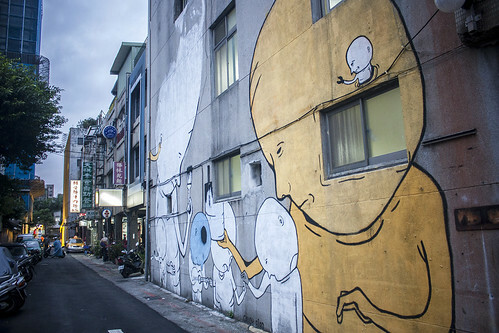 The Songshan Creative and Cultural Park brings art and design into a former tobacco factory; Huashan Creative Park is former distillery that is now a popular destination for music fans and arts and craft lovers; the Taipei Cinema Park screens films outdoors. Human feel: it’s an apt description of Treasure Hill, which rises in a haphazard assembly of hand-built houses, stone walls and narrow lanes. Greenery threads through the village from the thick forest behind to the riverbank below, where the waters of the Xindian River flow languidly beneath the Fuhe Bridge. Leaving the temple, Hung walks into the village, wandering up a staircase, past a huge banyan tree and then down another staircase—it’s easy to get lost in the village’s many small lanes—before finding himself outside a small grey house. A young woman dressed in jeans and slippers opens the door and introduces herself as Mia Lee. Lee has worked in Treasure Hill for just under two years. When she first visited 10 years ago, there were only a few artists. “Most people in Taipei didn’t know anything about this area,” she says. 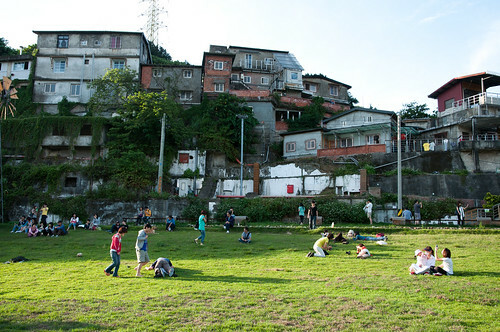 Like many communities in Taipei, Treasure Hill was built by squatters, without government permission, and after 50 years of legal limbo, the Taipei government was keen to tear it down. But a group of artists and architects objected, proposing instead something novel: turn the village into a model of environmental and social sustainability. Finnish architect Marco Casagrande, who was hired to develop a master plan for the area, espoused a concept of “urban acupuncture” in which large-scale development is replaced by local, community-based and organic change — pointed interventions into the pressure points of the modern city. From 2007 to 2010, Treasure Hill’s housing stock was restored; by that point, many of the original residents had left, but 20 families remained, and they were joined by the artists that call Treasure Hill home today. 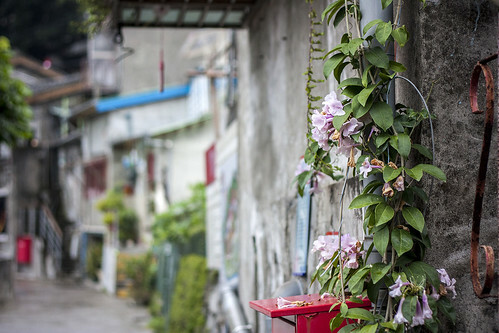 Urban acupuncture has proved popular enough to be adopted as an official strategy by the Taipei government, which has launched a series of Urban Regeneration Stations that link arts and culture with residents in Taipei’s oldest neighbourhoods. Since 2010, seven URS have been opened around the city, mostly in Dadaocheng, an historic trading district near the Danshui River. “It was very busy 40 years ago, but business shifted to the east part of Taipei and it decayed,” says Lin Yu-hsiu when I meet her at the URS headquarters, a musty, low-ceilinged space above a neighbourhood market on Roosevelt Road. She explains the distinct character of each URS: Cooking Together focuses on food culture, Story House presents exhibitions on local history and Film Range specializes in independent film projects. Most of them are housed in buildings donated to the city by their owners, including the very first URS, which was a family-run clinic. “When the doctor died, his wife had lived there for so long she couldn’t stand to see it torn down, so she decided to donate it to the city,” says Lin. Owners are compensated with an equivalent amount of square footage in another part of Taipei. 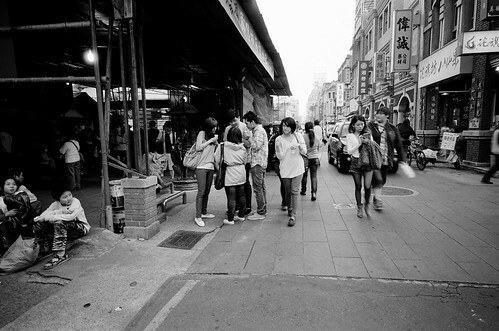 Dihua Street, focal point of the URS program. That’s one of the goals of City Yeast, a Treasure Hill-based organization that runs community-based art and design activities. In one case, it asked designers to create public furniture for various sites around Treasure Hill; some of the results included fortune-cooking shaped chairs and a seat that moulded to the roof of a village house. Another project mapped 100 things that could be bought from the decades-old dry-goods shops of Dadaocheng, including dried seahorses and roselle flowers. “We just want to make the city better,” says City Yeast designer Jolie Chang, who presides over the group’s Treasure Hill headquarters, where visitors can drink fair trade coffee while looking through City Yeast’s latest work. This entry was written by Christopher DeWolf , posted on Tuesday October 08 2013at 12:10 am , filed under Art and Design, Asia Pacific, Heritage and Preservation, History, Public Space, Society and Culture and tagged Art Space, Exploring the City, Informal Settlements, Informal Space, Taipei, Treasure Hill, Urban Acupuncture, Urban Renewal . Bookmark the permalink . Post a comment below or leave a trackback: Trackback URL.